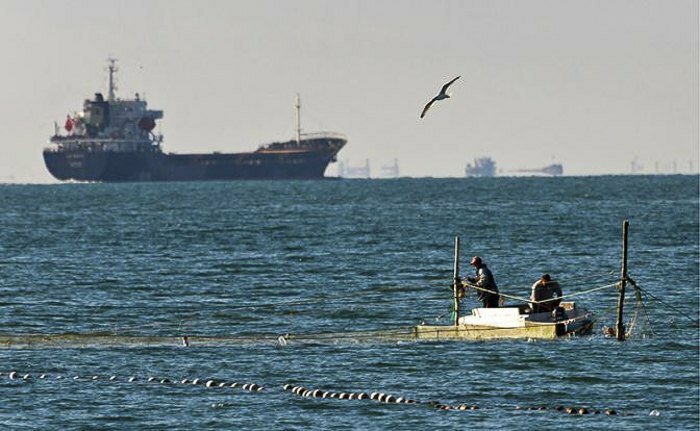 Russia continues to escalate the situation in the Sea of Azov: it has been blocking Ukrainian navigation, fishing by Ukrainian fishermen. It has also been pumping up the Sea of Azov region with warships - now the group of ships of the Russian Navy has 120 units. The EU has finally noticed Moscow's destructive actions, having adopted a resolution calling for sanctions on Russia in the event of an escalation in the Sea of Azov. After the annexation of Crimea and the construction of the Kerch Bridge, the Russian Federation significantly changed the security situation in the Azov-Black Sea basin. Absolutely neglecting international law, creating a “Crimean military fortress” and performing any actions in the region, based solely on the right of the strong, Moscow created a completely new reality that is far from being predictable and stable. In this reality, the Sea of Azov can become the cornerstone and the reason for the escalation of another confrontation. The use of the Sea of Azov water area, which is the internal sea shared by Ukraine and Russia, is still governed by two agreements between countries: the 1993 agreement on the so-called quotas for fishing, and the 2003 agreement between Ukraine and the Russian Federation on cooperation and use of the Sea of Azov and the Kerch Strait. At one time, the documents actually determined the format of interaction between the two countries in the region. However, what is important about these documents is that they did not define the concept of “territorial waters” or a “zone of exclusive economic interests” at all. That is, in fact, either party could work, relatively speaking, anywhere in the Sea of Azov – Ukrainians could fish somewhere in the region of the Temryuk Bay and Russians near Kyrylivka. However, after the occupation of Crimea by the Russian Federation, the situation in the Sea of Azov has changed in earnest. The Kremlin began to increase its own capabilities as part of the Black Sea Fleet and units of the Russian FSB. Moscow created a flotilla in the Sea of Azov, reinforced the FSB border troops with additional ships, deployed assault and missile boats to the region, including from the Caspian Sea. Only recently, two patrol ships, the Syktyvkar and the Kizlyar, have entered the Sea of Azov, and another ship - the Steregushchy - is expected to be towed there. According to the head of the State Border Service of Ukraine, Petro Tsyhykal, Russia's total group includes more than 120 ships and boats in the Sea of Azov. In general, according to Ukrainian intelligence, Russia has increased its presence in the Sea of Azov by about 40 boats and combatant boats. 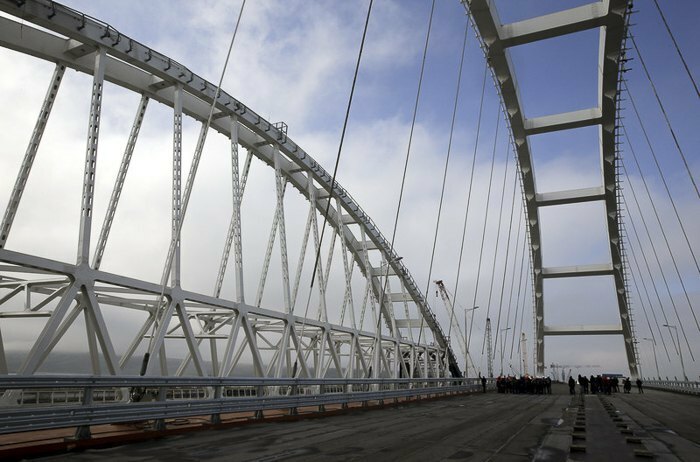 Explaining its actions with the desire to “ensure the safety of navigation and the newly built bridge”, the Kremlin has in parallel created the conditions for the landing operations against Ukraine. Of course, this build-up of forces in the region cannot be perceived calmly. And it certainly does not speak of the good intentions of the neighbouring state. The construction of the Kerch (Crimea) Bridge by the Russian Federation, whose height does not allow large cargo ships of the Panamax class to pass into the Sea of Azov, was a flagrant violation of the international maritime law and the UN Convention on the Law of the Sea. As of 24 May 2017, the passage of such vessels has completely stopped. Because of this step, Ukraine began to lose millions of hryvnyas and jobs, and the situation at the Ukrainian ports in Mariupol and Berdyansk destabilised. For example, 144 ships cannot call at the Mariupol port which used to work with them. According to preliminary estimates, this restriction means Ukraine cannot annually export 1m tonnes of metal to the United States alone. It also negatively affects the distribution of agricultural exports. For example, in 2017 alone, Berdyansk lost 448,700 tonnes of cargo traffic, while Mariupol lost 705,000 tonnes. As a result, grain logistics significantly deteriorated and transporters were forced to charter smaller vessels, which unequivocally led to an increase in the cost of transporting each tonne of cargo. In fact, the Russian Federation artificially restricted navigation in the Kerch Strait and access to the Ukrainian ports in the Sea of Azov, through which Ukraine is trading with 120 countries of the world. According to the Ukrainian Infrastructure Ministry, the number of ships calling at the ports of Mariupol and Berdyansk has already decreased, resulting in a drop in trade for local businesses. “The Mariupol port was forced to switch to a 4-day working week. We see permanent stops of Ukrainian and foreign ships in the Sea of Azov, the Kerch Strait, up to the point that shipowners suffer losses because ships are not at work. This is about 15,000-50,000 dollars per day. The average delay time (of a ship - ed.) runs over 30 hours, and this is a loss not only for Ukraine but also for European taxpayers because goods from these ports went to European markets,” Omelyan told Nastoyashcheye Vremya TV. In the meantime, Russia did not stop its aggressive actions. 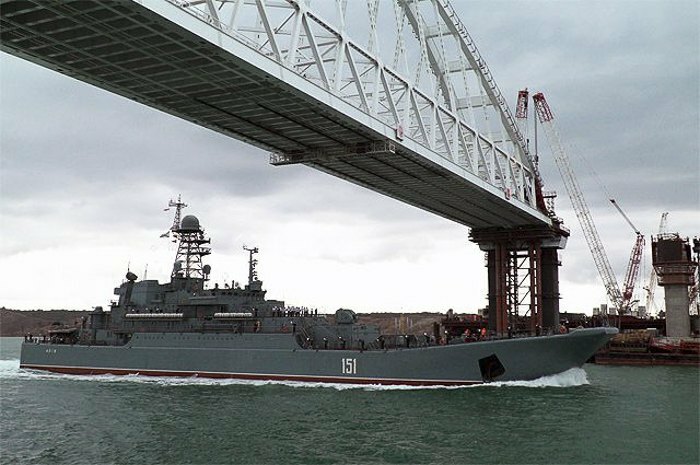 Ships of the Russian Black Sea Fleet began to constantly carry out demonstrative actions near the Ukrainian shore of the Sea of Azov to maintain tension. They carried out active reconnaissance, including by using special forces. The “Azov crisis” provoked by the aggressor after 19 May 2018 began to gain momentum and provoked well-defined qualitative changes. By a pretence of acting in response to the arrest of the Crimean fishing seiner “Nord”, which violated the law, by Ukrainian border guards, the Russians began a coordinated campaign involving systemic stops and temporary detentions of all, without exception, merchant ships heading to the ports of Mariupol and Berdyansk. According to the Maidan Foreign Affairs Monitoring Group, the Black Sea Strategic Studies Institute and BlackSeaNews, Russian border guards stopped ships both at the entrance to the Sea of Azov and at the exit; both near the Kerch Strait and near the Ukrainian ports. At the same time, ships going to the ports of Mariupol and Berdyansk were stopped without explanation for two to 11 days, or even more. In fact, no-one forbids Russian (as well as Ukrainian) border guards to inspect ships at any point in the Sea of Azov. After all, it is their function and they are entitled to it. However, they should not abuse it. After all, 10 days is too long to inspect a ship. This is actually done much faster. Therefore, the Russian actions are certainly a step towards another spin of tension between the two countries. Another important point is fishing in the Sea of Azov, which is still limited and is distributed between the countries under the 2003 agreement. However, there is an interesting detail here, which was also noticed by the experts of the Maidan of Foreign Affairs Monitoring Group and their colleagues. Before the occupation of Crimea, Russia sourced an average of about 30,000 tonnes of bio-resources in the Azov-Black Sea basin. This is a total of what is fished by companies in Krasnodar Territory, Rostov Region, Stavropol Territory, Volgograd Region and the Republic of Adygea. The volume of the catch – 30,000 tonnes - has remained almost stable for seven years, from 2007 to 2013. 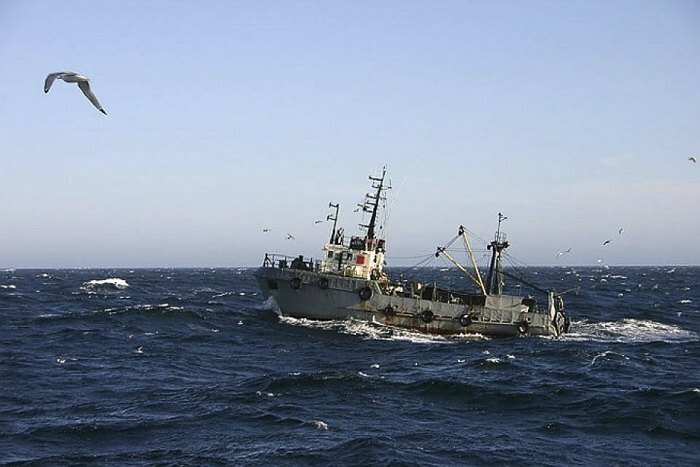 However, after the occupation of Crimea, Russia steeply increased fishing in the Azov-Black Sea basin from 51,000 tonnes in 2014 to 102,000 tonnes in 2015 to 103,000 tonnes in 2016 to 90,000 tonnes in 2017. According to experts, this happened due to an increase in fishermen who came from other regions of the Russian Federation and even from North Caucasus. And this directly affects the Sea of Azov because, according to environmentalists and fishing experts, it has been rapidly losing its biological resources year after year. Out of around 30 species of fish that were once caught in this sea, there are only three dominants now. These are Black Sea anchovy, Black Sea sprat and sculpin. Every year their number decreases for various reasons, including mass fishing. Unless steps are taken, the Sea of Azov can gradually become dead. In the meantime, Ukraine has reduced fishing in the Sea of Azov. According to the State Fishery Agency, in the first half of 2018, the catching of fish and aquatic biological resources in the Azov-Black Sea basin and inland waters of Ukraine fell by 24.3% compared with the same period last year. Moreover, this fall was due to lower fishing in the Sea of Azov. This happens not just because the number of fish has decreased but also because Ukrainian fishermen do not want to be suddenly arrested by the Russian FSB, which controls the situation at sea. Russia's goals in this case are quite prosaic. 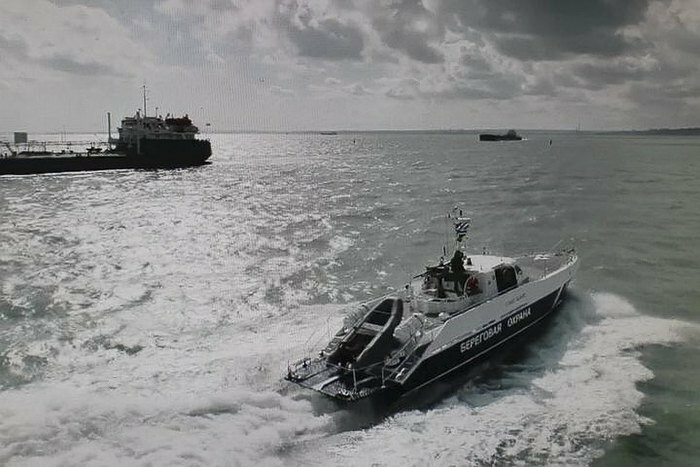 First, it seeks to take control of civilian navigation routes from our ports in Berdyansk and Mariupol through the Kerch Strait. This allows Moscow, when the time is right for it (such as a military operation against Ukraine), to simply block the strait, reducing the risk of accidental loss among foreign civilian vessels. Second, it wants to get rid of one of its key competitors in the market of grain exports. Shipyards of the Kalashnikov concern are already building civilian dry cargo ships. Third, it wants to destabilize the situation in the Ukrainian port cities. After all, the blocking of the ports causes multimillion-dollar losses for the Ukrainian economy, the loss of thousands of jobs in Zaporizhzhya and Donetsk regions (ports, fisheries, and all sectors involved in marine export and import). Tensions in the public will grow, there will be more and more discontented people, which can be stirred by saboteurs deployed to Ukraine and local pro-Russian forces to protest. Fourth, it may put an asymmetric pressure on the leadership of Ukraine to force to open the South Crimean canal and supply water to Crimea, which is, in fact, experiencing an environmental catastrophe due to the Kremlin's actions, in exchange for easing the shipping regime in the Sea of Azov. A sort of blackmail. Naturally, Ukraine has to respond in this situation. When Russia began to seize Crimea, Ukraine had no ships of the Navy or the State Border Service in the Sea of Azov. However, on 2 March 2014, in order to prevent seizure by Russia, 11 ships and boats of the Kerch detachment of the State Border Service of Ukraine escaped from Crimea and, having broken the ice, arrived first in Berdyansk and then in Mariupol. In fact, they created the maritime component of the Ukrainian forces in the Sea of Azov. 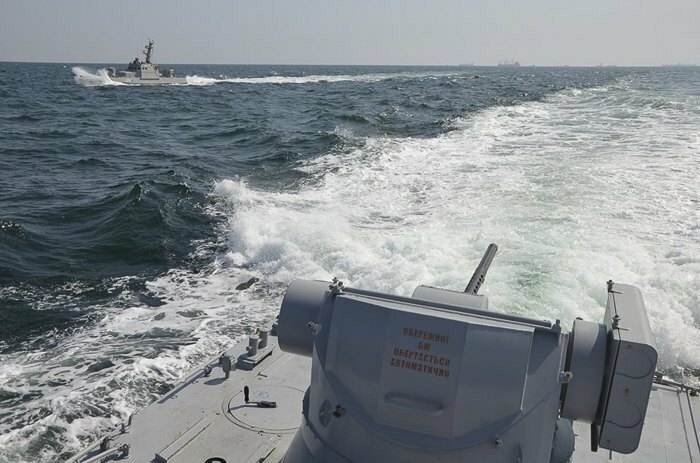 With the beginning of the active phase of the antiterrorist operation (ATO), naval border guards began patrolling the coast and covering it from the sea. Their presence turned out to be very useful because the adversary was trying to deploy sabotage groups and weapons using formal uncertainty over the state border in the Sea of Azov. There were at least several cases when Ukrainian border guards stopped such cargo, including one in the region of Berdyansk, where the FSB had planned to set up a separatist centre. It is not by chance that border guards' ships came under fire and suffered casualties. For example, on 31 August 2014, Russian troops fired improved conventional munitions at two boats of the Ukrainian State Border Service on duty in the Sea of Azov at a distance of 3 miles from the coast near the village of Bezymyanne. 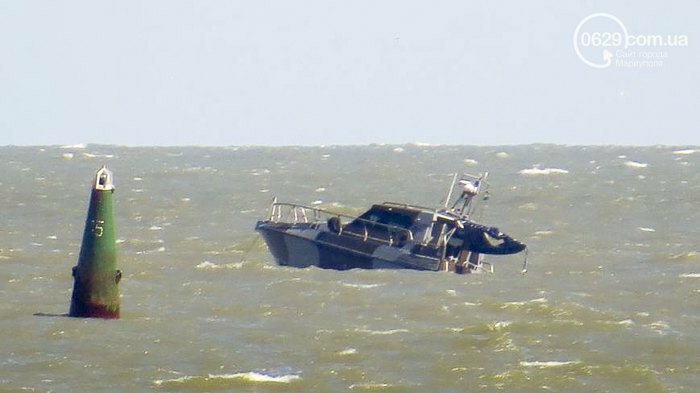 And on 7 June 2015, a Kalkan-type boat of the State Border Service of Ukraine was blown up by an improvised floating explosive device near Mariupol and got damaged. In both cases, there were fatalities and casualties among the personnel. A coast guard patrol boat of the State Border Service of Ukraine, which patrolled the sea in Mariupol's Prymorskyy district, hit an unidentified explosive device on 7 June 2015. Given this situation, on 6 September 2018, the National Security and Defence Council of Ukraine approved a set of measures aimed at protecting the country's interests in the southern regions, the Azov and Black seas. In particular, they discussed the ways of strengthening the naval presence in the Sea of Azov, creating a boat-and-ship group of the Ukrainian Navy, developing the relevant infrastructure, providing coastal defence units with the latest high-precision projectiles, etc. The Cabinet of Ministers was immediately instructed to adopt the Naval Doctrine of Ukraine and improve the legal framework for the protection of national interests in the Azov and Black seas. To implement this decision, two artillery armoured boats of the Gyurza-M type were deployed to Berdyansk by land in September, and the A500 Donbass search and rescue ship and the tugboat A830 Korets, which moved from Odessa to Mariupol through the Kerch Strait, got there by sea. By the way, they did it to the complete surprise of the Russians who thought that the Ukrainians would be afraid to cross the strait and exercise their right under the 2003 agreement. All of these ships will become part of the Ukrainian group of forces in the Sea of Azov, where a naval base of the Armed Forces of Ukraine should be established by the end of 2018. Later, in October, Ukraine conducted a large-scale military exercise near the Azov coast, using all the available ground, air and naval forces available in the region. Of course, Ukraine's decisive actions had consequences. According to the Maidan of Foreign Affairs Monitoring Group, the Black Sea Strategic Studies Institute and BlackSeaNews, since mid-September 2018 there has been a noticeable decrease in the time during which Russians delayed the ships in the Sea of Azov. The area where ships got detained on the move in the middle of the sea shifted 30 miles (50 km) to the south, closer to occupied Crimea. And in the first half of October 2018, there were no detentions at sea. But later the situation resumed with new vigour. So, whereas in July a vessel was held for 28.4 hours on the average, in August it was 73.1 hours, in September it was 47 hours, and on 1-15 October it was 98 hours, that is four days. The maximum delay of one ship in the first half of October was 186 hours, that is, almost eight days (it was EEMSLIFT NELLI, the Netherlands). This is despite the fact that in July, it was 150 hours, in August – 176 and in September – 155. Thus, Ukraine will not stand unilaterally against the Russian Federation in this confrontation. And strengthening military capabilities in the region is only the minimum necessary steps for Ukraine to ensure the protection of its territory from the military aggression. The international community has a key and important role to play. Despite the active international efforts of the public at first and then the Ukrainian authorities, the Azov issue was for a long time absent from the agenda either in Europe or in the USA. A focus was repeatedly made on possible risks and consequences, however, neither Brussels nor Washington did not see possible consequences to this until Ukraine's forecasts and statements began to come true. The first to respond in August was the United States when it officially called on Russia to stop provocations in the Sea of Azov, pointing out to the destructive and destabilizing nature of the Russian actions to delay ships going to the Ukrainian ports in the Sea of Azov. However, the Kremlin reacted in its typical manner, having compared for some reason the Ukrainian border guards, which were doing their lawful job, with pirates because of the seizure of the violator vessel Nord. In the future, the countries continued trading statements on this issue but they did not bring any significant results. 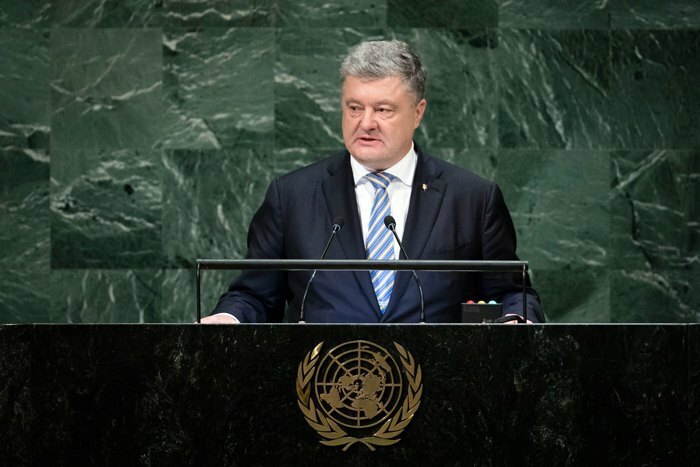 Later, in September, the Ukrainian president speaking at the 73rd session of the UN General Assembly and then in early October, the Ukrainian delegation to the UN publicly accused Russia of violating the UN Convention on the Law of the Sea through its unauthorized actions in the Sea of Azov. However, the Russian Federation once again ignored these reproaches and continued to abuse its right in the Sea of Azov. Europe, for its part, has kept mum for a long time. Whereas experts unofficially and repeatedly discussed the Azov issue at various forums and conferences, no specific official messages were made. Ultimately, the situation has changed. After all, the European Parliament started paying attention to Russia's actions. Speaking at the plenary session on 24 October, the Vice-President of the European Commission and High Representative of the European Union for Foreign Affairs and Security Policy, Federica Mogherini, focused on the escalation in the region and rather severely criticized the Russian actions in the Sea of Azov, having taken the side of Ukraine. During further debates, MEPs recognized that Russia had violated international law in the Sea of Azov and warned Moscow against further aggressive actions. Some representatives of the EP finally understood that Russia's aggression in the Sea of Azov threatens the entire eastern flank of NATO and could lead to an escalation of the new conflict in Europe. And that the only answer to the gross violation of international law by the Russian Federation is the introduction of additional sanctions against the Kremlin as well as European companies, individuals and even countries cooperating with Russia in violating the sanctions regime. As a result, on 25 October, the European Parliament adopted a resolution on the situation in the Sea of Azov. It says that more than 120 commercial courts under the flags of various EU member states were subjected to illegal blockade and inspections by the Russian Federation. But most importantly, the EP called on Mogherini to prepare possible sanctions against Russia, which will be introduced in the event of an escalation in the Sea of Azov. Of course, there is no straightforward solution to the situation in the Sea of Azov. Today, the Russian Federation, unfortunately, does not want to return to the international legal field and continues its destructive policy. Therefore, it is difficult to resolve a conflict with a country that does not really want it. What should we expect in the future? Objective reality suggests that Ukraine needs to unilaterally denounce the agreement on the joint use of the Sea of Azov while the Ukrainian parliament should urgently adopt the Law of Ukraine “On internal waters, territorial sea and adjacet zone” to legally register the internationally recognized 12-mile zone of Ukraine’s territorial waters in the Sea of Azov. It should be noted that the waters of the Sea of Azov along the Crimean coast can be considered Ukrainian but occupied by Russia. All of this will allow Ukraine to clearly define the boundaries of its waters in accordance with international law. However, on the other hand, Ukrainian fishermen will have a problem fishing in the rest of the sea. Especially in the context of the recently failed talks on the fishing limits for 2019, Russia will use its strength to simply arrest our sailors for illegal fishing. But Ukraine can do the same in response. In addition, after the termination of the existing agreements with Russia, disputes will have to be settled in international courts. But Russia will not be in the right here. Certainly, one can say that Russia will still ignore everything because it actually controls the Kerch Strait. However, again, one should listen to the calls of representatives of the European Parliament to expand the OSCE monitoring mandate to the Sea of Azov to prevent the situation from escalating. And after all, the international community should start arresting Russian vessels which visited Crimea illegally. Nevertheless, it is very difficult to accurately predict how the situation will develop in the Sea of Azov. However, today it is becoming quite serious. Obviously, Ukraine is not interested in a military confrontation because it understands how difficult it is to put up resistance to an adversary such as the Russian Federation. The Ukrainian authorities are inclined to use diplomatic means to settle the current situation. However, it is unclear how Moscow will react. Until now it has not made any steps to normalize the situation in the Sea of Azov. Russia de facto confirms by its actions that it continues to act in line with its strategic goal, which is to destabilize Ukraine, in particular in the Sea of Azov, in order to ensure full hegemony in the region. Whether it is to succeed depends not only on Kyiv but on the resolute actions of Brussels and Washington.